Sealed for freshness. Naturally caffeine free. 4 calories per cup. Sugar free.All natural ingredients* *All our herbs are gently steamed, the process is gentle to protect their delicate taste. Let your imagination run free; like carefree children playing in the sunshine. Wild leaves of nettle and peppermint magically become bright green windmills, spinning in the light breeze. What does it taste like? 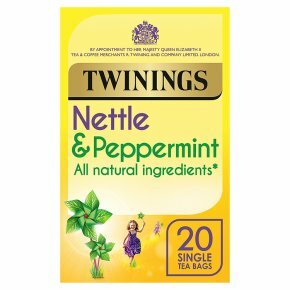 Despite its prickly reputation, Nettle makes for a surprisingly lightand delicate infusion, which we've brought to life with some cool peppermint.